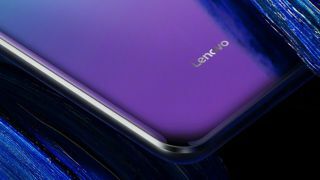 We've got upcoming smartwatches, an important change to Apple's AirPods, rumours of a new Apple laptop, updates for WhatsApp and a promise of 5G connectivity from a Lenovo phone launching soon – all in our news roundup courtesy of our friends at TechRadar. For several weeks now the tech world has been buzzing with speculation that a new Samsung smartwatch is on the way – not called the Galaxy Gear S4, as you might expect, but the Galaxy Watch. A radio certification filing in Korea would seem to confirm that a launch is now imminent, and it might show up alongside the Note 9 on the 9th of August. Forget 4G LTE, because 5G is the new and exciting mobile network tech you need to know about – essentially faster speeds over cellular networks while being kinder on your battery too. But when will it appear? Lenovo says it's going to have a 5G-capable phone ready before anyone else, launching before the end of 2018 with a Snapdragon 855 chipset. WhatsApp has been one of the leaders of the messaging app pack for a number of years now, except in the area of group video calling. It's now put that right, enabling users to hold four-way video conversations with their contacts – the feature is rolling out across Android and iOS now so should be appearing on your phone in the very near future. Well what have we here? After giving its MacBook Pro line an almost complete refresh with new chips and more memory, Apple is apparently now turning its attention to the MacBook Air – the venerable laptop is set to get 8th-generation Intel Kaby Lake processors in an upcoming update, say sources in Taiwan, so keep your eyes on the Apple Store. Speaking of updated Apple hardware, rumours that the AirPods charging case would soon work wirelessly with the upcoming AirPower mat seem to have been confirmed by code in the latest iOS 12 beta. The new case will have an external LED so you know when charging is complete, and we might well see it unveiled later this year alongside some new iPhones.